What Is Gorilla Glass and How Does It Work? Gorilla Glass is a special kind of glass created by Corning Inc that is used in electronic devices such as smartphones, tablets, and television screens. It has garnered such a strong reputation for being so strong and resistant to scratches that the Gorilla Glass brand name has almost become synonymous with the phrases "strong glass" and "unbreakable glass" with the everyday consumer. It's important to remember though that Gorilla Glass is a brand of strong glass used on smart devices and a product having a scratch-resistant or drop-resistant screen may not use Gorilla Glass at all. How Strong is Gorilla Glass? Gorilla Glass isn't unbreakable but it is incredibly strong. The fifth generation of Gorilla Glass can survive drops of up to 1.6 meters high onto hard surfaces 80% of the time and has gone through rigorous testing by Corning Inc for flexibility, scratch resistance, and impact protection. How Does Gorilla Glass Work? The type of glass Corning creates for their Gorilla Glass is aluminosilicate. This sort of glass is sand-based and is made up of aluminum, silicon, and oxygen. After the initial glass is created, the product is placed in a molten salt bath that's over 400 degrees Celsius. This heat triggers an ion-exchange process that forces the smaller sodium ions out of the glass and replaces them with larger potassium ions drawn in from the salt. This process of packing larger ions into the same sized space makes the glass significantly denser than it was originally. This is what gives Gorilla Glass its strength and flexibility. How Many Types of Gorilla Glass Are There? The first generation of Gorilla Glass was created in 2008 with additional iterations produced in 2012, 2013, and 2014. The fifth generation of Gorilla Glass was released in July, 2016 for general use in electronics while a new type of glass designed for smartwatches, Gorilla Glass SR+, debuted one month later. Gorilla Glass may be tough but at the end of the day it's still glass and can indeed be recycled. The method in which Gorilla Glass is created does not necessarily make it any worse for the environment than regular glass used in windows or bottles. What is Antimicrobial Gorilla Glass? Antimicrobial Gorilla Glass is a special type of Gorilla Glass that features the strength of regular Gorilla Glass but also boasts resistance to bacteria. The glass is given this resistance by being infused with ionic silver, a naturally antimicrobial agent. The aim of Antimicrobial Gorilla Glass is to help create a more hygienic experience on touch devices such as smartphones, tablets, and public electronic devices such as ATMs and interactive screens or maps. Gorilla Glass is made by Corning Inc, an American company that was founded in 1851 under the name Corning Glass Works. Corning Glass Works changed its name to Corning Inc in 1989. In addition to Sullivan Park in Corning New York, the company owns other research centers in Shizuoka Japan (Corning Technology Center) and Hsinchu, Taiwan (Corning Research Center Taiwan). What Sort of Products Use Gorilla Glass? Gorilla Glass is used by numerous companies for smartwatches and fitness trackers, smartphones, tablets, and laptops. In 2016, the Ford GT sports car was the first automobile to use Gorilla Glass in its rear and front windshields. Most companies will mention on their website if their products use Gorilla Glass in their devices. Given the positive reputation of the technology, many product commercials may also mention Gorilla Glass if it's used. Does the Gorilla Glass Name Mean Anything? The product name, Gorilla Glass, doesn't appear to have any special meaning. 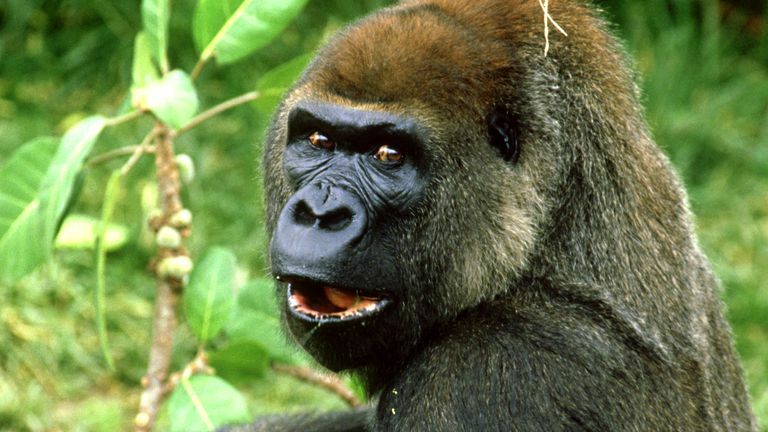 It's simply meant to imply that the glass is as strong as a gorilla, one of the strongest creatures in the animal kingdom. Where Can I Buy Gorilla Glass? Corning manufactures large quantities of Gorilla Glass for companies who wish to use it in their devices. Gorilla Glass is unavailable to purchase by the average consumer. Are There Gorilla Glass Alternatives? The biggest rival to Corning's Gorilla Glass is Asahi Glass Co's Dragontail which is very similar to Gorilla Glass and is used in many smartphones made by Sony, Smasung, and XOLO. Another alternative to Gorilla Glass screens for smart devices are those made with sapphire. The Apple Watch is one such device that has a sapphire screen.